Mühlen in Taufers is located on 860 meters, a bit before Sand in Taufers, the main village of the valley. Its name Mühlen is probably reducible to the mills, where the farmers once milled rye, wheat and barley. The history shows that Mühlen in Taufers has already been an important place for commercial and industrial development very early. More than one hundred years ago, the village’s artificially created watercourse offered not only mills, but also foundries, sawmills and more at its borders. Today, tourism plays a very important role. Mühlen and Sand in Taufers are famous holiday destinations all year round. This is not only because of the impressive mountain world, surrounding the valley of Tauferer Ahrntal like a protective wall. Both localities offer snowy winters, and mild temperatures in spring and summer. 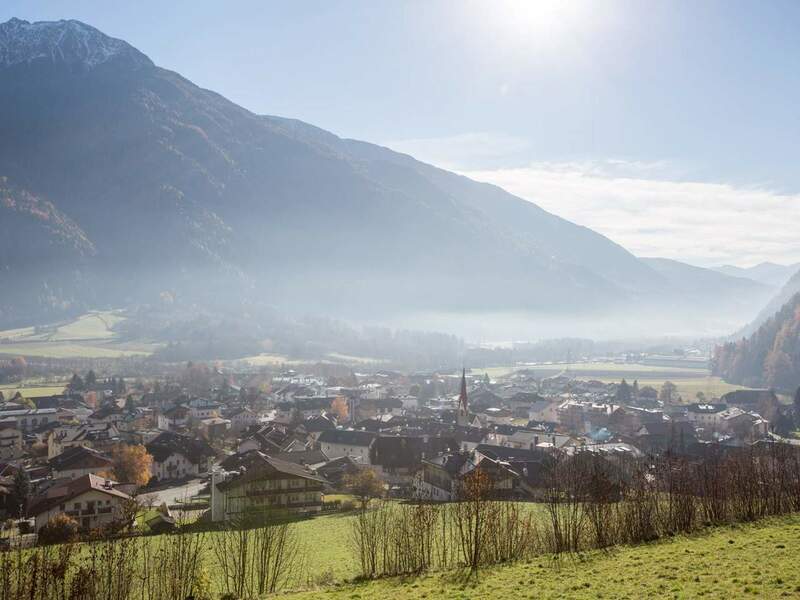 A main reason for choosing Mühlen in Taufers is, of course, the broad offer of outdoor activities in the environs, including challenging hikes in Rieserferner-Ahrn nature park, a visit at Castle Taufers as well as ski fun at Speikboden and Klausberg skiing areas. Even for adventure loving and daring vacationers, Tauferer Ahrntal has the perfect offer such as rafting, canyoning or paragliding. In Mühlen in Taufers and environs, traditions and ancient customs are still very important. It does not matter if Easter or Christmas, traditional fairs, sports or music event – there will be something for everybody. In addition, Mühlen is an oasis of tranquillity and relaxation. Numerous comfortable guesthouses and inviting hotels with sauna, spa area and beauty centre. If this is still not enough, you can enjoy relaxing moments at the close Cascade swimming pool.